If you enjoy reading this blog, please consider putting a tip in the tip jar. Many thanks! During its eleven-year run, John Michael Greer's earlier blog The Archdruid Report was one of the most controversial and widely cited blogs on the future of industrial society. 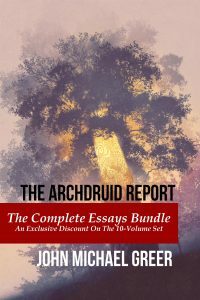 All the essays from The Archdruid Report are now available from Founders House Publishing in a ten-volume set (individual volumes are also available). Click on the image to go to the publisher's website to purchase. 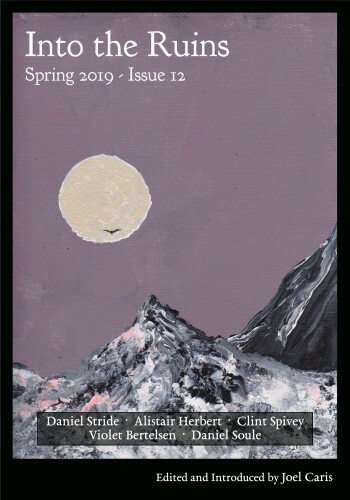 The premier quarterly magazine of deindustrial SF, Into the Ruins publishes speculative fiction that explores futures defined by natural limits, energy and resource depletion, industrial decline, and climate change -- you know, the kind of future we're actually going to get. Click on the cover image to go directly to the magazine's website. For shorter pieces, book reviews, announcements of new JMG publications, and occasional catcalls aimed at the clueless, follow JMG's posts at ecosophia.dreamwidth.org. © 2019 Ecosophia | WordPress Theme: Lontano Free by CrestaProject.